When it comes to Credit Cards, we have little patience. The companies that administer the cards and their accounts will do just about anything to try and get your money. Very few of them will do anything that isn’t in the interest of the company. BB Rule: Debt Free means Credit Card Debt Free too! Destroy as many credit cards as you can. If you do use a credit card, keep the receipt and then send a payment for that amount immediately. 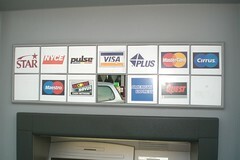 Our goal is to no longer use any credit cards and only use Debit Cards. Debit cards will only allow you to spend what you have. You’re not taking out a personal loan with each purchase as you are with a credit card and as a result, you are not creating more debt. The only way to use credit cards is to treat them exactly as you would a debit card. Only charge what you can send as a payment. Pay them off in whole each month, and stop worrying about the interest rates. If used responsibly, and paid off in whole, credit cards can be a useful tool, and are necessary for plenty of online transactions. It does require self-control, and the ability to stop yourself from using them for everything, and for things that you can’t afford to pay for. If you can’t pay them off immediately, or can’t control yourself from using them above your means, stop using them altogether! We haven’t started cranking up just yet, but over the next few days and weeks, you’ll start seeing lots of quality discussion on many personal finance topics. Chief among them, the topic of Beating Broke. We want to try and help you beat back your debt and work towards being debt free. Along the way, we’ll discuss some things that may scare you. Things like budgets and cutting up credit cards. But the end result will always mean a more debt free lifestyle for you and us. We hope you’ll subscribe to us through either RSS or email and that you’ll come back to participate in our discussions. If you have any specific questions or comments, please feel free to Contact Us. Here’s wishing you a debt free life and we look forward to talking with you soon!